The Faubourg Marigny and Bywater developed as New Orleans’ second suburbs in 1806 and were given the first historic zoning since the Vieux Carré. Beautiful Creole and Classic Revival cottages that stood abandoned after residents left for the suburbs in the 1950s have been restored and painted in rich golds, brick reds and moss greens. Marigny is on the beaten path for Orleanians and visitors looking for great music, fine food, and an authentic, intact, and livable historic neighborhood. 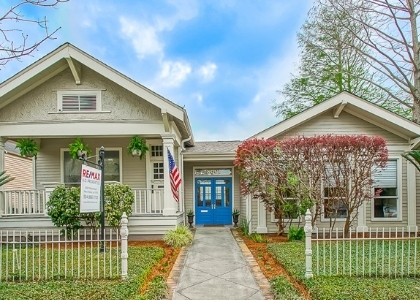 This residential area is walking distance to the French Quarter, and the Mississippi River. Great investment and residential real estate. This search includes the Marigny, and Bywater below St. Claude.